When your doctor tells you that you now have a chronic condition such as diabetes, hypertension, heart disease, or chronic issues with your thyroid or kidneys, the diagnosis can be frightening. Chronic medical conditions are just that, chronic. These health issues will have an affect on your daily life and will be an ongoing influence in your day to day routine. Suddenly you have medications to consider, monitor readings to take and doctor’s recommendations to follow. In addition, chronic conditions can be challenging and confusing, particularly when they have to be addressed over the long haul. Since there is no quick fix or easy cure, and because of the time involved and sometimes the complexity, understandably you have many questions and concerns. This is not a sprint, it’s a marathon, and it takes time and effort to get to the finish line. And not every question will come to you while you are sitting in the doctor’s office. They come to you as you walk out the door, or in the car, or even wake you in the middle of the night. You feel discouraged, overwhelmed and confused. Certainly you could write down all of your burning questions and save them for your next visit in six months to a year for your next physical. Or you could call the office and ask, but you don’t want to bother the doctor or nurses with what you feel is trivial. No question about a chronic disease is trivial. And most are not even urgent, but you just want to know the answer. You don’t have to think that any question you have is not important, or that you are being a bother. Your health is important, and delaying answers and solutions about your health for an extended time could cause your condition to worsen. What you really need is a healthcare partner who talks to you at home to help with those questions that arise after or between your visits, encourages you in your lifestyle changes and supports you when you’re feeling overwhelmed. Medicare and Shelby Medical Associates now offer a solution for you to be able to get timely answers to your questions and concerns without having to wait for your next visit. Chronic Care Management (CCM) is the program that will help you manage your health goals. The Chronic Care Management Program at Shelby Medical Associates is a community effort that has proven to be a wonderful resource for our Medicare patients. We are building personal relationships with our enrolled patients and helping them bring about measurable improvements to their health. Our on-staff chronic care managers live and work in the same place you do, right here in Shelby and Cleveland County. 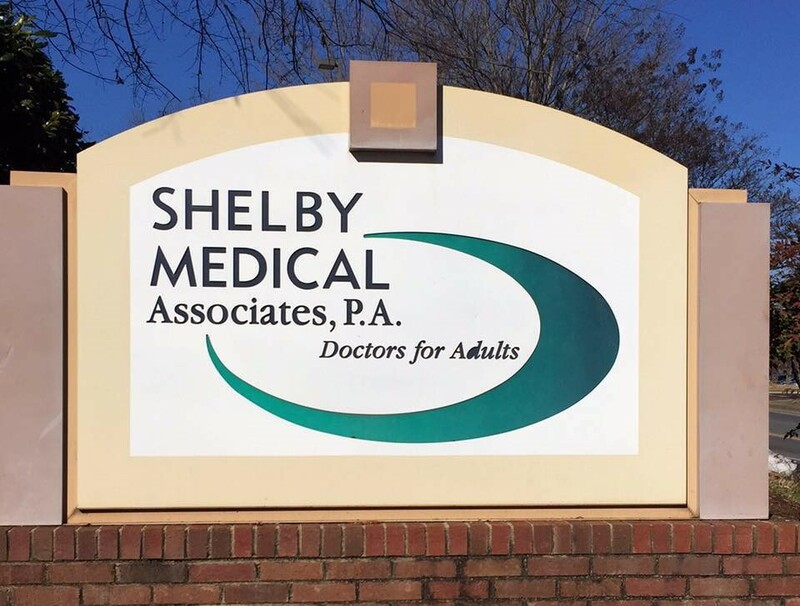 They are a vibrant part of the community and work in the office alongside other Shelby Medical Associates professionals. Although we are only in our first year of the CCM Program, we are seeing many positive successes and positive changes in our patients who are enrolled. Enrolled patients are finding it easier to adhere to the therapies and lifestyle changes recommended by their doctors, because they are able to review those recommendations at home. The proactive monthly calls are acting as gentle reminders to our patients to help them keep their health care foremost in their minds. Because of the personal interaction on the phone each month, our enrolled patients and their families are finding it easier to take a leading role in the ongoing self-management of their health. They are able to set goals for their progress and have immediate input and support from their healthcare manager. Plus, when our CCM patients are in contact with their healthcare team from home, their visits to our office are much more efficient. Their doctors are aware of their recent successes and challenges and are better able to optimize the visit. This is even more important when a patient has other medical specialists. And since we are the primary care physician for these patients, we can assist in following up on recommendations from any other specialists, tracking down outside test results, and coordinating medicines or any new changes in prescriptions. Because our healthcare managers work directly from our office, they are able to address concerns with the doctor quickly and give timely feedback. If our patients need an appointment, the healthcare managers are able to quickly make arrangements for a visit. The results of the program have been impressive. Over the course of the last year, we have seen diabetics uncover gaps in their way of eating that exposed hidden sugars in their diets. With the monthly phone calls, we were able to gradually adjust their medications to better fit their improved eating habits. We have had patients with hypertension who have been able to adjust their medications appropriately when concerns were brought to light on their monthly phone call. This allowed their blood pressure to return to normal faster, and avoid a medical crisis or hospitalization. Even patients with high cholesterol have, with both medical and dietary changes, been able to improve their cholesterol levels. These successes were made possible by regular monthly communication between our enrolled patients and our trained healthcare managers. Our patients are benefiting from personalized attention and are able to make positive changes as a result, as well as communicate any new issues that have arisen in between office visits. Because of our dedicated healthcare management team, our patients with chronic conditions are finding themselves better able to take charge of their health. They are feeling great and living the life they dream. “I think a lot of times people think they are better than they are. Instead of having to come into the office, I have the opportunity to just talk on the phone and get the information I need.” –Lois A., Medicare patient. The monthly telephone calls enable each patient to talk about their current condition, discuss any home monitor readings they’ve taken and even get handy prescription refills or medicine adjustments as needed. And since our patients have a single point of contact, they are able to phone their healthcare manager in between monthly calls if something arises they’d like to discuss. When we introduce the CCM Program to our patients, the reaction is positive. Our CCM Program will continue to grow and develop over the years, and our patients will continue to see direct benefits. Nothing can replace a personal relationship with your healthcare team. Our CCM Program has shown that regular interactive communication with our patients has brought about many positive changes in their lives. Over the long term, our Program is expected to allow patients to take charge of their health by motivating them to make achievable lifestyle changes, and educating them in skills to help relieve symptoms of their conditions. Just as importantly, they receive ongoing support to help reduce the effects of the stress, anxiety, anger and depression which often accompany chronic diseases. Your doctor is your partner in healthcare. By taking charge of your treatment and lifestyle through the CCM Program, you can be in tune with your body and let your team know what you need in order to thrive. be sure to inquire about CCM on your next visit to Shelby Medical Associates. We will be happy to verify if you qualify for Medicare’s effective and beneficial program that helps put you in charge of your health. For ultimately, it’s your health that matters. Take care of you, take care of yours. We’ll be here to help you with both.